Paul Manafort leaves Federal District Court in Washington on Monday. 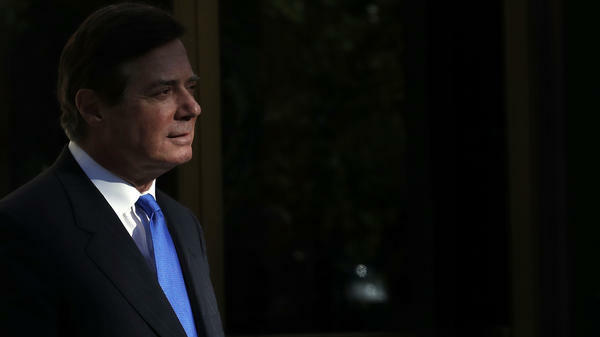 Special Counsel Robert Mueller unveiled a 12-count indictment against Paul Manafort that includes allegations of money laundering in the course of his work in Ukraine. Manafort has pleaded not guilty. 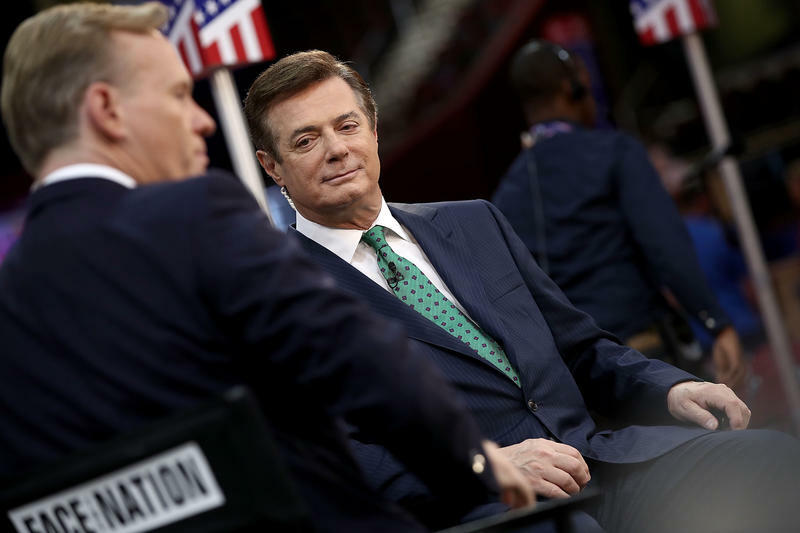 In 2016, Manafort served as Donald Trump's campaign chairman. In March, WNYC reported on three unusual real estate deals by Manafort in New York City . In the story, "Paul Manafort's Puzzling New York Real Estate Purchases," we investigated a condo purchased in Trump Tower, another one in SoHo and a brownstone in Carroll Gardens, Brooklyn. At the time, we said, "Manafort's New York City transactions follow a pattern: Using shell companies, he purchased the homes in all-cash deals, then transferred the properties into his own name for no money and then took out hefty mortgages against them, according to property records." The indictment answers four questions raised in WNYC's initial reporting. And it leaves one big question unanswered. 1. Where did the money come from? According to the indictment, Manafort and a business partner, Rick Gates, secretly earned money from a Ukrainian strongman allied with Russian President Vladimir Putin. They then allegedly funneled the money through offshore bank accounts to the Brooklyn townhouse and the SoHo condo, among other deals. 2. Why did Manafort structure the deals this way? The indictment alleges, "Manafort used his hidden overseas wealth to enjoy a lavish lifestyle in the U.S., without paying taxes." He bought expensive men's clothing, Range Rovers and high-end carpets. But the indictment said that wasn't enough: To evade taxes, he purchased the two New York properties, "then borrowed millions of dollars of loans using these properties as collateral, thereby obtaining cash in the United States without reporting and paying taxes on the income." 3. Why was Manafort able to borrow so much money against these homes? The indictment alleges that this, too, was a fraud. When Manafort applied for a mortgage against the SoHo condo, he told the bank it was owner-occupied, which would allow for a larger loan. But the property was being rented out through sites like Airbnb. Manafort sought a "construction loan" for the Brooklyn brownstone, which allowed for a larger loan with the renovated home as collateral. But the indictment alleges Manafort used some of the money to pay off other debts instead. 4. What about Manafort's statement in February that his "investments in real estate are personal and all reflect arm's length transactions?" Mueller isn't buying it. In fact, the indictment specifically charges Manafort with "knowingly and willfully" making false and misleading statements regarding his work for the Ukrainians. He allegedly made one of those false statements to the Justice Department on Feb. 10, 2017, around the time WNYC was investigating these real estate transactions. The unanswered question: What about the Trump Tower apartment? Good question. We reported about three real estate deals; only two of them are cited in the indictment as central to the money-laundering scheme. The third property is a condo in Trump Tower. It is not mentioned in the indictment, but the limited liability company used to purchase that unit, "John Hannah, LLC," is named. But the indictment does list John Hannah, LLC, among the entities "used in the scheme." Two former prosecutors said the indictment is not required to spell out every detail of Mueller's case. Kevin Downing, attorney for Paul Manafort, said in a statement, "Mr. Manafort represented pro-European Union campaigns for the Ukrainians and in the course of that representation he was seeking to further democracy and to help the Ukrainians come closer to the United States and to the EU. Those activities ended in 2014, two years before Mr. Manafort served in the Trump Campaign." 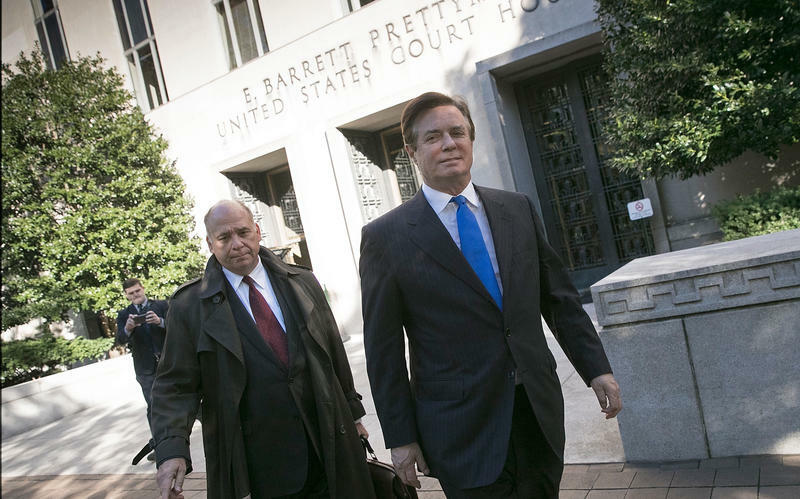 Downing said the indictment's claim that Manafort was "maintaining offshore accounts to bring all your funds into the United States, as a scheme to conceal from the United States government, is ridiculous." Copyright 2017 WNYC Radio. To see more, visit WNYC Radio. 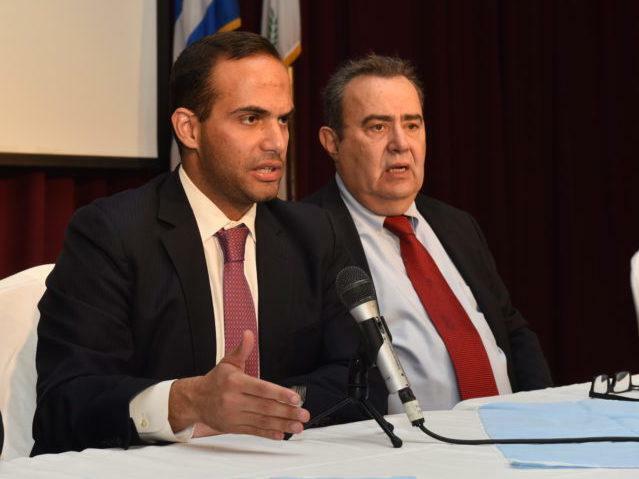 Before George Papadopoulos became the first legal casualty of Robert Mueller's investigation into Russia and the 2016 election, he was a 30-year-old energy lawyer best known in D.C. for getting name-dropped by Donald Trump and for reportedly embellishing his resume. Five months into his mandate, Justice Department special counsel Robert Mueller III unleashed a legal version of "shock and awe" on Monday with criminal charges against President Trump's former campaign chairman and a guilty plea by a foreign policy aide. 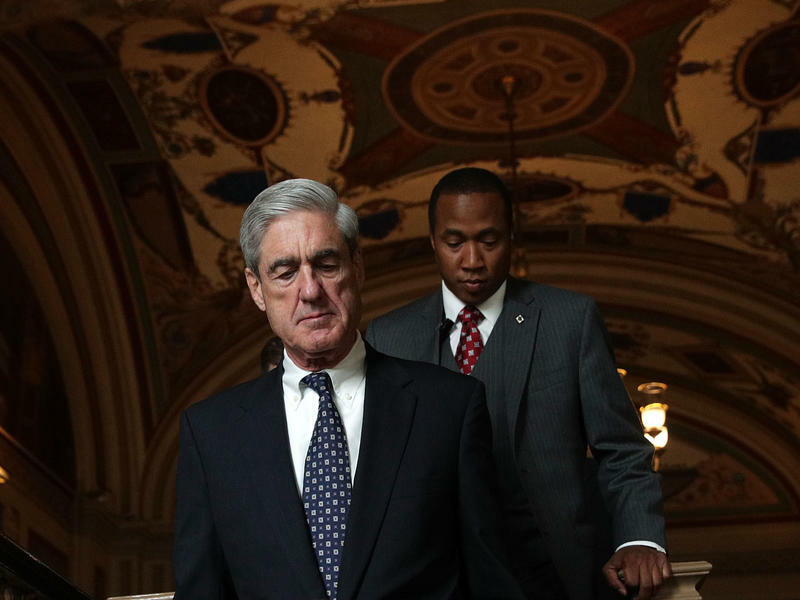 Mueller made no public comment about the charges or the next steps in an investigation that's irritating the White House and riveting the nation. But there are some clues in the court documents about where the former FBI director and his investigators may be heading. With Charges Filed, What Happens Next In The Russia Investigation? Former Trump campaign chairman Paul Manafort and his former assistant Rick Gates have surrendered to law enforcement. Manafort is facing a dozen charges, including conspiracy against the United States and conspiracy to launder money. Now that the first indictments have been issued, we look at what comes next in the investigation into Russian interference in the 2016 election. The first charges have been filed in the special counsel investigation into Russian interference in the U.S. election, and the court documents help make clearer the timeline of Russia-related events that took place during the presidential campaign.